Civil engineers find creative ways to solve real-world problems, developing the physical infrastructure for society to exist – from bridges to houses, and from roads to hospitals and train stations. Accredited by numerous professional industry bodies, our course has been designed to provide a practical and broad civil engineering education. Our course is accredited, under license from the Engineering Council, by the Joint Board of Moderators (JBM), which represents the Institution of Civil Engineers (ICE), the Institution of Structural Engineers (IStructE), the Institute of Highway Engineers (IHE) and the Chartered Institution of Highways and Transportation (CIHT). It's also accredited by the Institution of Civil Engineering Surveyors, recognising the quality and relevance of the course content. Take the first step in gaining Incorporated Engineer status – this course is accredited as fully satisfying the educational base for an Incorporated Engineer (IEng). Benefit from our Building Blocks financial package, supporting you throughout your time at NTU and enabling you to make the most of your studies. As well as money towards the cost of your course materials, you’ll also benefit from free personal protective equipment (PPE) and a pre-paid printing allowance. Benefit from excellent employability prospects. Due to a skills shortage and a boom in the construction industry, civil engineering graduates are heavily sought after. Experience hands-on learning in our modern facilities and workshops, offering industry-standard equipment and support from our team of expert technicians. Taught for one day a week, our part-time BSc (Hons) Civil Engineering study route enables those already working in the industry, or with work experience, to acquire further professional qualifications and apply their learning. 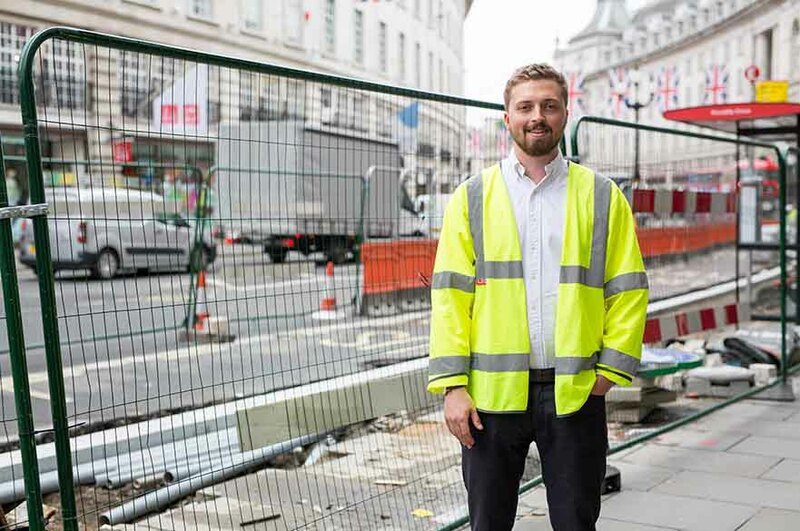 Alex tells us about his life as a student studying BSc (Hons) Civil Engineering at Nottingham Trent University, and how it has helped him succeed in his role as Project Manager for Balfour Beatty. This part-time degree develops together the theory and practice of civil engineering, with a strong emphasis on practical and project work. Our part-time route is designed for those already working in the industry, or who have experience, to acquire further professional qualifications and apply their learning to their live working experience. NTU provides support and resources to make studying as easy and flexible as possible, including a virtual learning environment, enabling you to study from home or work. A and B modules are delivered on an alternate year basis. This module aims to provide you with knowledge of relevant statics, and a quantitative and qualitative appreciation of the behaviour and design of beams and triangulated frameworks. The module covers areas such as statistics, beam structures, and loadings. This module aims to provide you with an introduction to the structural behaviour of elements in reinforced concrete and steelwork. You'll look at factors influencing the design of reinforced concrete structural elements. This module has a twofold function: to improve your IT skills in relation to civil engineering, and to extend your knowledge and skills in the use of surveying instruments. Using simulated work situations, you'll also look at new and emerging technologies and their application in the construction industry. In this module, you'll explore a range of techniques, materials, equipment and processes that are used in the design and construction of civil engineering projects. Site and project constraints will initially be considered on a project, before evaluating possible solutions in terms of efficiency, cost, practicality, aesthetics, risk, time, quality, safety, the environment, and sustainability. This module will further develop your mathematical and statistical skills, appropriate for civil engineering at IEng level. This module will develop your appreciation of fundamental soil and geological properties. You'll measure and test different geological and geotechnical materials, allowing you to recognise and investigate ground-related problems and hazards. This module aims to broaden your knowledge of the conceptual design of structural elements to the recommendations of published guidance. You'll be introduced to the factors that affect the stability of framed building structures, and to the common methods of ensuring the stability and robustness of these types of structures. Within the context of sustainable development, this module will introduce you to the engineering implications of ground-based structures and water resources, examining the environmental and legislative context surrounding this type of project. You will learn to analyse some typical engineering problems involved in the management of foundations, geotechnical structures, water supplies, and associated fluid principles. This module focuses on two main themes: management theory and practice within the construction industry, and transport policy. The aim of the module is to broaden your experience within the civil engineering discipline, providing useful context and skills for graduate roles. You'll look at areas such as marketing, pitching and tendering for business, business audits, and scenario planning. You'll also look at transport policy formulation and implementation from local to international levels, with module content ranging from the development of sustainable mobility to techniques for managing and controlling traffic. The majority of this module will be formed by a self-led research project or dissertation; a significant body of work allowing you to research in depth an agreed topic relating to the construction industry. You'll also work on a group project over the course of the year, relating to a real-world engineering scheme. You'll work in a team environment, producing and presenting a design scheme. This module is based around four themes: health, safety and welfare; the profession and wider society; clients, stakeholders, communities and government; and sustainability. Its aim is to fully prepare you for graduate roles, with the knowledge, skills, awareness and professionalism expected by graduate employers. 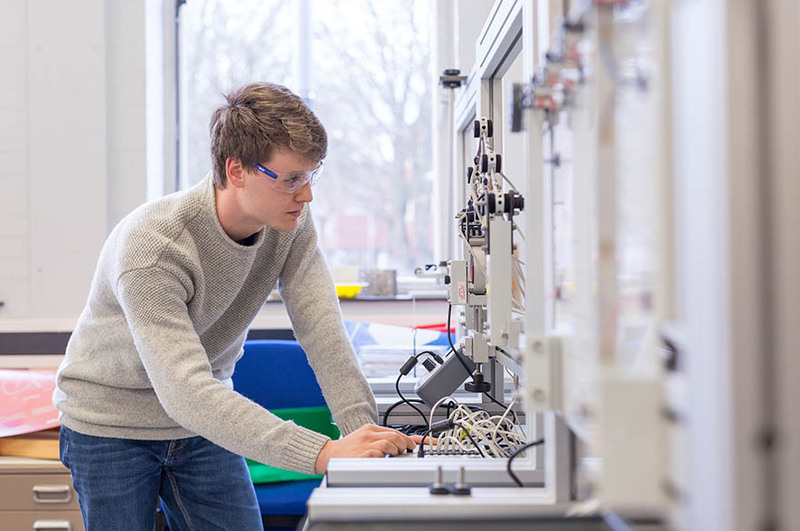 The part-time study route is taught one day a week and, where possible, part-time students are taught alongside full-time students on the BSc Civil Engineering full-time course. Your typical day will run from 9 am through to about 7.30 pm, and normally three different subject areas are taught on each day. In Year Four, the formal contact hours are reduced to allow time to focus on the individual project. The course is organised into structured modules and is delivered through lectures, seminars, and extensive practical and project work. NTU provides support and resources to make studying as easy and flexible as possible, including a virtual learning environment that enables you to study from home or work. The course aims to develop your intellectual, practical and personal skills, together with the theory and practice of civil engineering. You will be assessed through a mix of coursework, practical exercises and exams. The coursework will make up the majority of your assessment and will consist of group and individual projects, reports, presentations and essays. You will receive feedback throughout each module. Fit your studies around your work life and personal commitments, with just one day a week spent in lectures, seminars and workshops. Our course is designed to prepare you to succeed in the construction industry. As well as providing the necessary vocational and professional skills for a successful career, this course also develops transferable qualities such as communication, time management, analysis, teamwork, and IT skills. Recent growth in UK industry has revealed a skills shortage in this area. 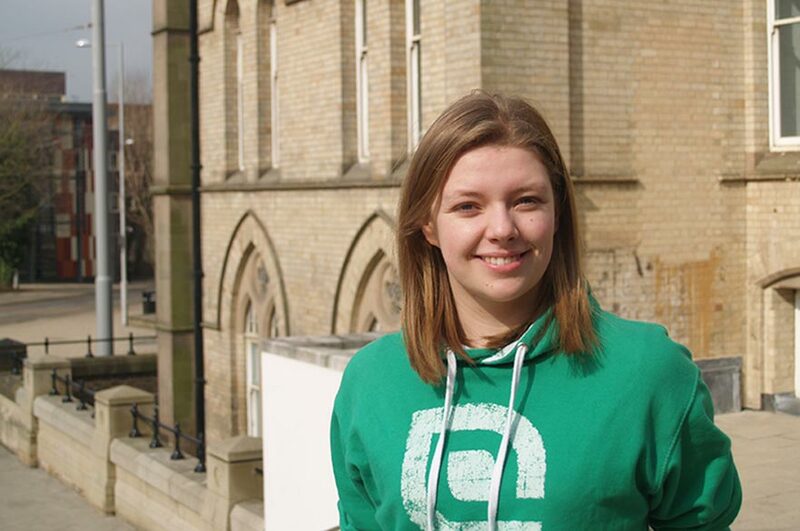 You'll graduate with desirable skills and knowledge, boosting your employment prospects. Where do Civil Engineering graduates from NTU work? NTU has a strong civil engineering alumni community, with many graduates working in senior positions in leading national and international companies. North Midland Construction: project engineer, design coordinator. Our expert Employability team will work closely with you at every stage of your career planning, providing personal support and advice. You can benefit from this service at any time during your studies, and for up to three years after completing your course. Find out more about the service. Find out more about career options in civil engineering on the Institution of Civil Engineers website. Apply for advanced entry with relevant qualifications and experience. The School has excellent lab and workshop resources for structural testing, materials science, and soils and building services. See a full gallery of facilities used by our civil engineering students. desk space together with the latest, and archived, journals and publications. This resource centre is open from 8 am to 8 pm, Monday to Friday. high-speed online printing services (with a free printing allowance for each student). In the library you will have access to an extensive and diverse range of books and periodicals that focus on specialist areas within the Built Environment. The library's OneSearch system provides access to all our electronic resources, journals and books. Within the library there is a liaison librarian who has specialist Civil Engineering subject knowledge. They can offer detailed help in finding and using print and electronic resources and also support on things such as Harvard referencing and research skills. a Higher National Certificate (HNC) in Civil Engineering or equivalent qualification. a Higher National Diploma (HND) in Civil Engineering or equivalent qualification. If you need any more help or information, please email our Admissions team or call +44 (0)115 848 4200 . Candidates are not required to attend an interview for this course. Applications can be submitted up until the start of the course in September; places are subject to availability, therefore we would advise early application. We welcome applications from students who may not meet the entry criteria but hold relevant work experience. We will assess applicants of this nature on an individual basis. Non-standard applicants can submit their applications through the NTU Application Portal too. After you've applied, we'll be sending you important emails throughout the application process – so check your emails regularly, including your junk mail folder. Please note fee amounts stated above will increase each year in line with inflation. Preparing for the financial side of student life is important, but there's no need to feel anxious and confused about it. Take a look at our fees and funding pages for lots of handy advice and guidance. 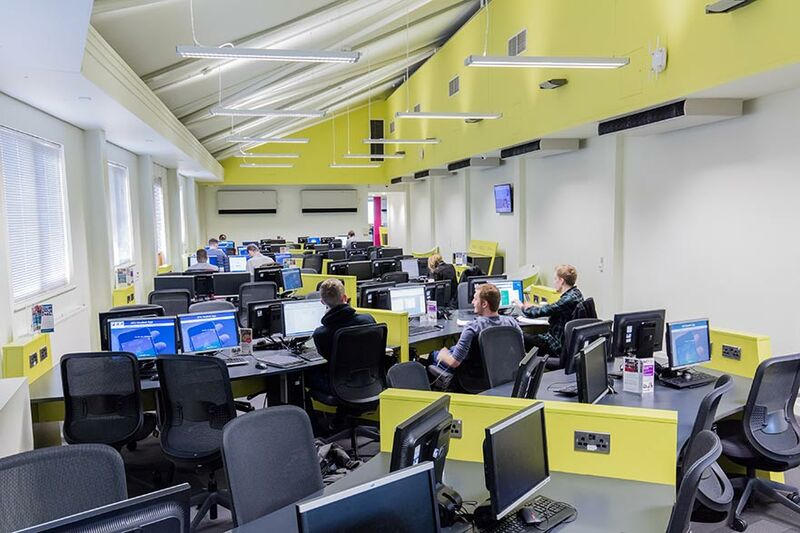 Your course fees cover the cost of studies, and include loads of great benefits, such as the use of our modern library, industry-standard workshops and study spaces, support from our expert Employability team, and free use of the IT equipment across our campuses. 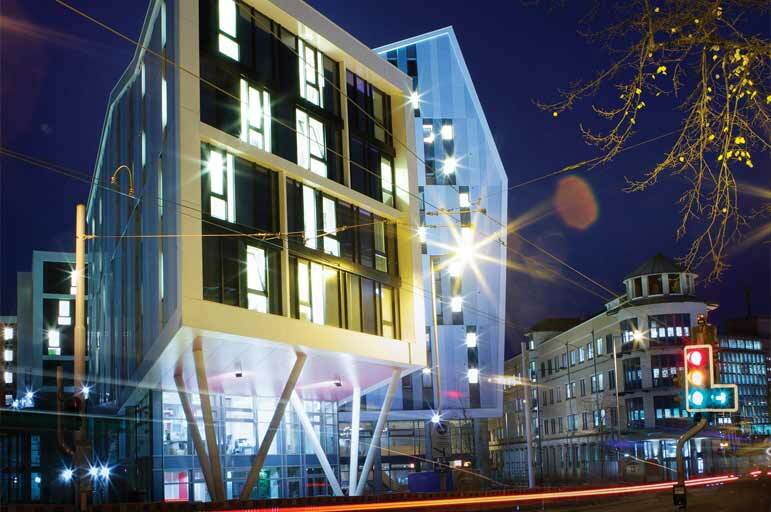 As a student at the School of Architecture, Design and the Built Environment, you’ll also benefit from our Building Blocks financial package, which aims to help minimise the additional costs of study, while you’re here at NTU. Free travel and accommodation for all of the mandatory field trips, exhibitions and events included on your course, including overseas trips (where offered). All of the materials needed for induction workshops and activities, working within our workshops and laboratories. Free personal protective equipment (PPE), which usually includes hard-wearing boots, googles and high-vis vests, to keep you safe on site visits and while working in our workshops. Access to the free professional body accreditation, as appropriate for your course. £20 pre-paid printing allowance for use at the NTU Print Shops, and library photocopiers. You’ll need to cover the cost of your own books, standard drawing and writing equipment and consumables. However, our City Campus library is home to four floors of books, journals and materials (many of which you can access online) – meaning you may not need to purchase as many books as you might think! Our library team work closely with our academics to ensure that our library collection closely matches the topics you’ll be studying, to provide relevant resources for you to use, free of charge. Our Students’ Union shop and Bonington art shop are great places to pick up drawing and writing equipment at reasonable prices and are located right in the centre of our City Campus. Where optional overseas visits are offered, you will need to meet the cost of these. For more information, please visit the Institution of Civil Engineers website.